Our Collaborative Learning series swings back into action after the summer break, with another One about the Money session at Redbridge Drama Centre with guest expert Andrew Scott, Schools Business Manager at Manorfield Primary School in Tower Hamlets. Over the course of two hours, Andrew helped Creative Schools partners to dissect the role of School Business Manager, understand where it sits in the school eco-system, and really get into the head of how an east London School Business Manager makes budget decisions within a challenging and uncertain financial climate. The scope of this critical non-teaching post includes a wide breadth of responsibilities from the school’s civic role within their community, to managing non-teaching staff, fundraising, and ensuring smarter procurement choices. Crucially, Andrew gave us some excellent first hand insights into the pressures and competing demands on time and resources in every-day operations, the challenges of the management and decision-making structures and a very healthy reality check about the relatively minimal portion of a school’s budget that is not committed to core costs (staffing and facilities). 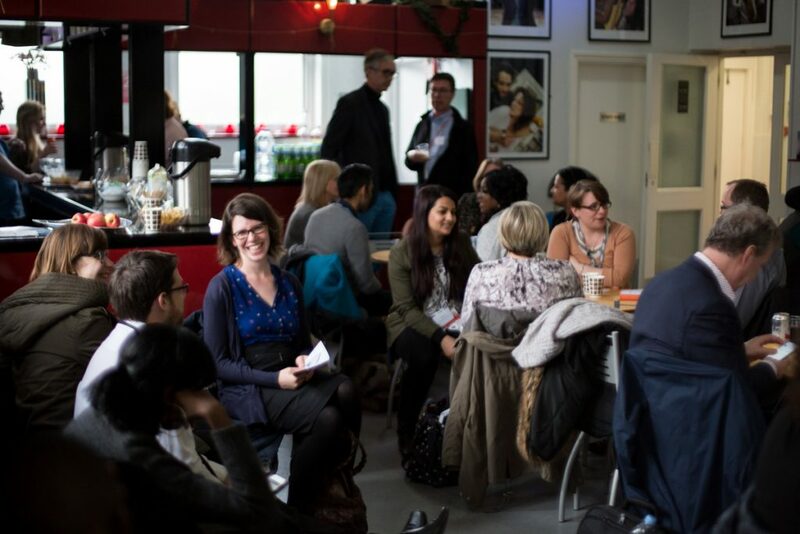 Here are some of the tips and takeaways from the lively discussions that ensued during the session and afterwards as we welcomed some of the teachers involved in Creative Schools brokerage to join us for drinks and discussions for new projects. Invaluable intelligence for any cultural organisations and practitioners interested in developing relationships and projects in schools! Every school is different, but most schools will set budgets in the spring or summer terms for the coming financial year (January in the case of Manorfield), so try to find out when the school you are working with is going through this process. Once set, budgets are fixed so aim to make contact early- mid way through the previous financial year to get projects for the following academic year built into budgets early on. Even with the best planning, there is no escaping the fact that school budgets are getting tighter. While the national funding formula for schools has been revised by the government in recent months, school funding is still being reduced in real terms. Pupil premium is often cited as a potential source of funding for arts projects, but it’s important to understand that in the current funding climate pupil premium funds are increasingly competitive as other core funding shrinks. It’s useful to know that in many schools it is standard practice for the Head to be responsible for signing off every single invoice in the school – meaning that buy in at a senior level can make or break a project’s chances of being approved. Prepare a project pitch as you would a job interview and research thoroughly into the context, strategic priorities and the leadership within the schools you are interested in. It pays to be thoughtful and considered – find out the names of the Heads you are approaching. Being generic in your approach will not cut through the huge volume of queries schools are dealing with every day – remember that teachers are not at their desks or checking emails for most of the day and are less likely to respond to a cold query. They are usually accessible via schools website (often though Governor’s meeting minutes) and can provide very valuable insight into the financial climate, priorities and background of the school you are targeting. Developing cross-curricular activities or tailoring projects to meet school priorities can help unlock funds. As many schools are starting to set themselves annual income targets, creative projects that can demonstrate match funding can hold great appeal – even in cases where match funding is in-kind. With longer-term relationships, it might also be possible to support the school to access funds for projects that only schools can apply to. When pitching projects don’t be too quick to slash your rates and discount your delivery costs. You can demonstrate your value by making business managers aware of your fully costed package even if you negotiate down from there. This can often qualify as in-kind match funding against their targets.